Abstract Admissions: What Does Chennai Mean To Me? 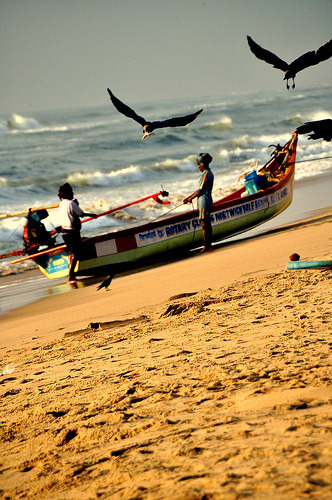 What Does Chennai Mean To Me? This post is part of the blog tag titled, The CBC Tablog where CBC stands for Chennai Bloggers Club. About 35 bloggers from Chennai are participating in this blog tag; everyone will write about their favourite city Chennai and what it means to them. 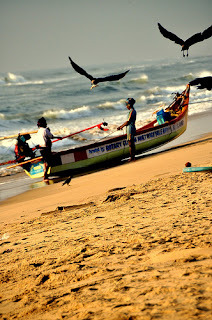 So here's my post for the CBC tablog titled, What Chennai Means To Me. Thanks for passing the baton to me Susan! If I can describe Chennai in one word, it would be home. Indeed, that’s exactly what Chennai means to me. I was born here, I grew up here, studied here, worked here – and in fact, have even married here. I’ve lived almost my entire life here. Most of my special memories have been formed in Chennai. After spending more than 2 decades here, it is only reasonable that anyone would think that I would know Chennai like the back of my hand. Unfortunately, that is not so. I am not familiar with too many routes – and most definitely cannot claim to have visited every nook and cranny of this city. I am no expert on Chennai – I am still discovering the myriad delights it offers. I think that one either loves Chennai or hates it – there are no inbetweens. Actually there is lot to dislike in Chennai – the hot and humid weather of course topping the list. When outsiders say that they don’t prefer Chennai I can totally understand their reasons. I don’t jump immediately to Chennai’s defense and deny any of its shortcomings. Sure, Chennai has many drawbacks, yes Chennai has its dark side. But so what? I don’t claim that Chennai is perfect. Rather, we Chennaities have simply learnt to accept its faults. We have chosen to look beyond the flaws. Afterall what is life without a few imperfections, right? For the past 5 years or so, I’ve been living abroad mostly. Whenever I think of Chennai, I get this warm and fuzzy feeling inside me. Every time my flight hovers over Chennai, I look down eagerly at the glimmering lights, winking at me from far below and try to guess which area we are flying over (even though I'm mostly clueless!). And as we touchdown, I think, “I’m home”. Yes. Chennai is home. Home is Chennai. Yesterday, today and always. This post will be succeeded by Aravind Kumar, who says, "Too many blogs kill the blogging spirit atleast it did mine! Crazy Traveller, Flour Miller, Lover of Food Politics." Wow! Like me you are also away from Chennai. Liked your take of seeing the city with both pluses and minuses after all we aren't perfect as well so why see the city so. Great to be part of the tag! Great post! :) And yes, despite the shortcomings, we love this city! Cheers! Away from blogging for a while? Nice, nice, nice. Now let me go think what Chennai means to me. :)Actually I don't live there anymore but I don't miss the city. But too many good memories associated with the city. Well written. One word can describe your post " CRISP". Chennai always gives an awesome feel! It's strange that we like a city when we are away from it, and we don't like it that much when we are in it. My personal experience! Well for me I have always liked Chennai - whether I'm there or not! Thanks for your comment Karen! That's good! Am still getting there! Trust me Anne, Hot is better because you got accustomed to it. I have a known friend When ever she leaves to Delhi and up Northern part of India, He FB status message would be funny claiming Chennai was better place to live, because she is accustomed to warm weather. For people from Northern states it is almost the same, that is why they crib about Chennai :)Sweet.